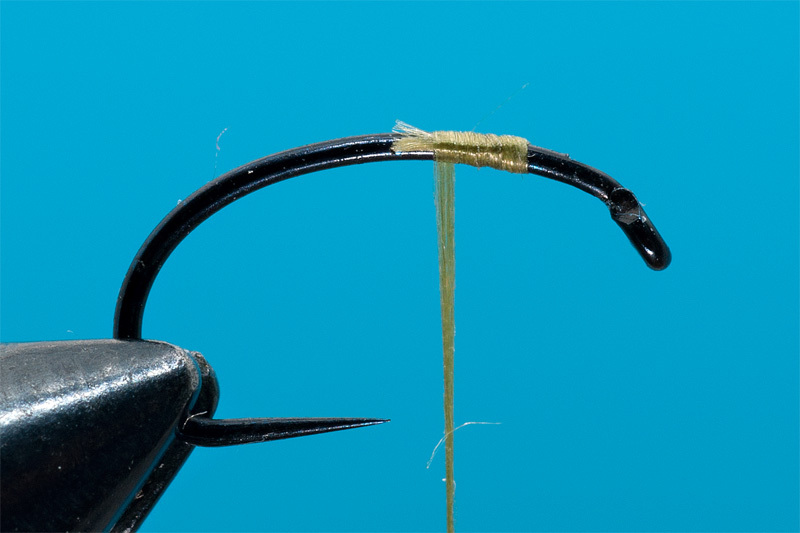 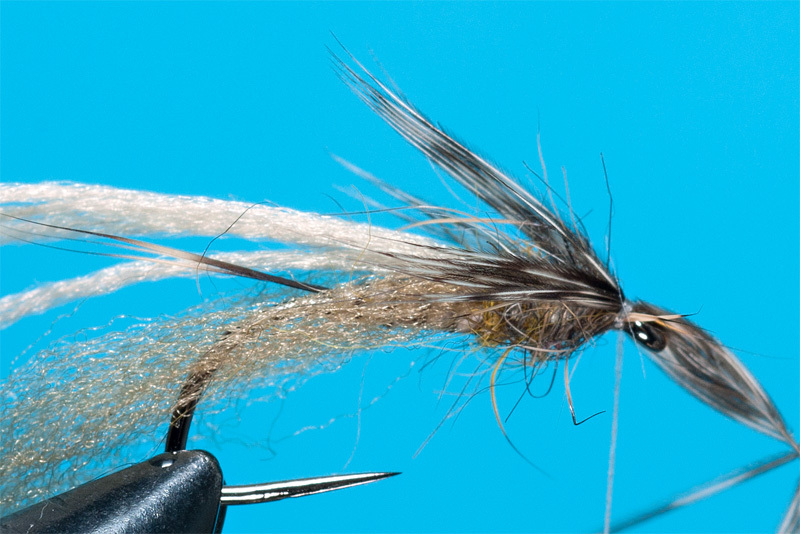 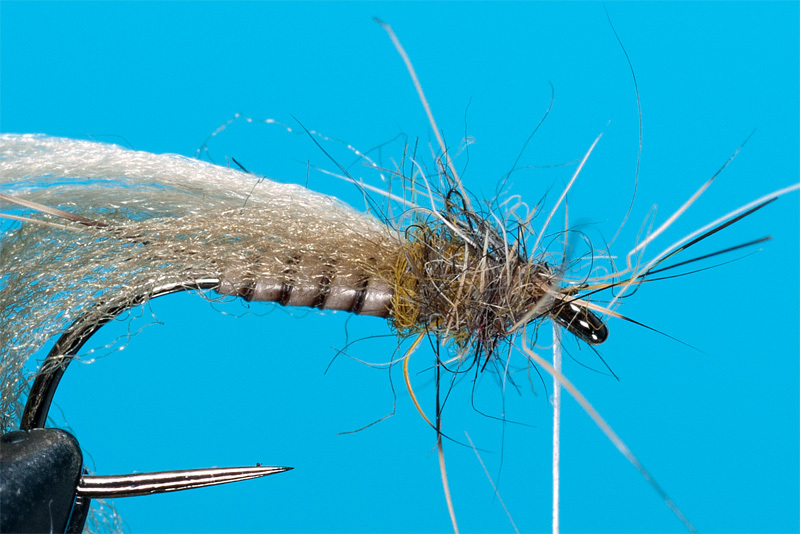 It is very simple for everybody to tie this fly. 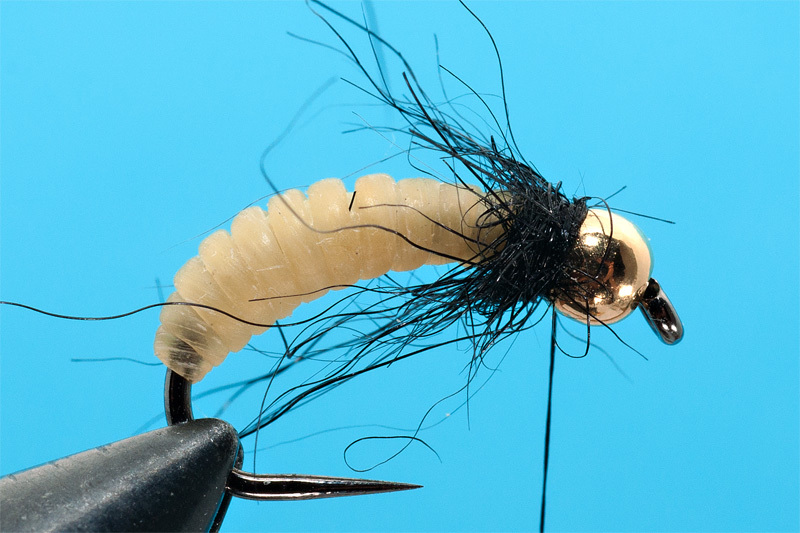 Is a searching nymph because imitate stoneflies and mayflies in the same time. 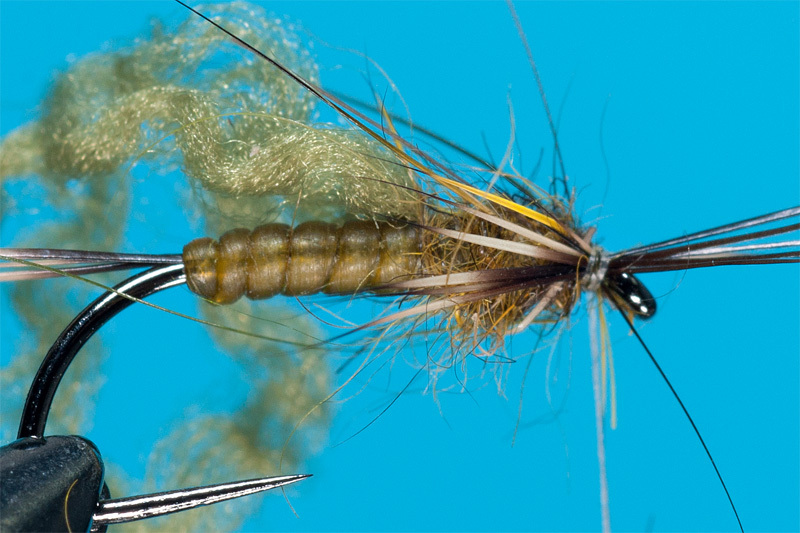 In March and April is very cold outside so you need a flies that goes very fast in the feeding area. 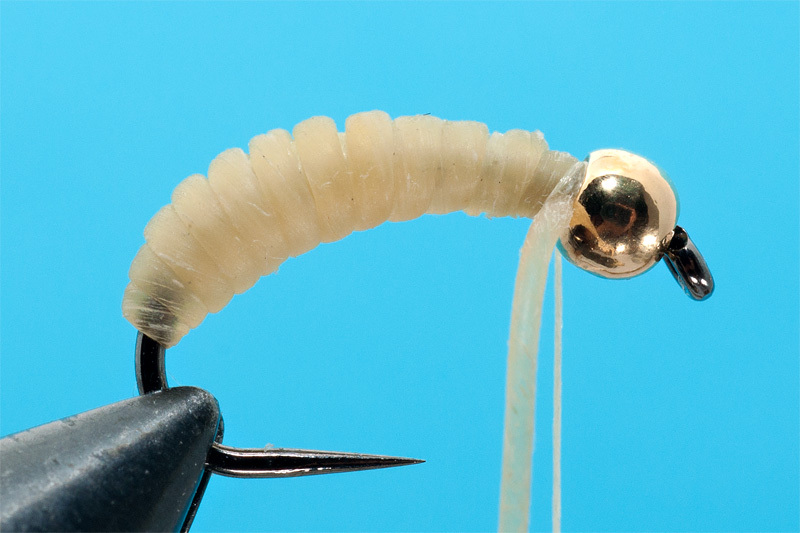 A great solution for me is to use nymph tied on jig hooks. 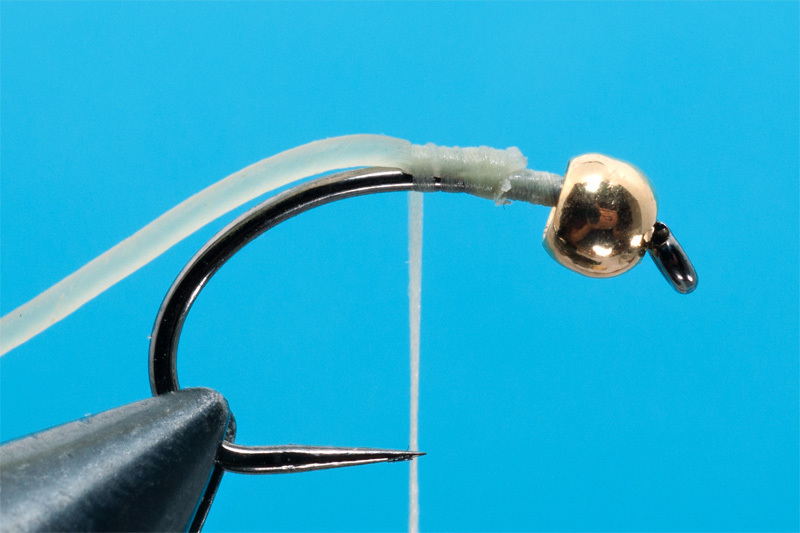 A newbie fisherman will ask why jigs? 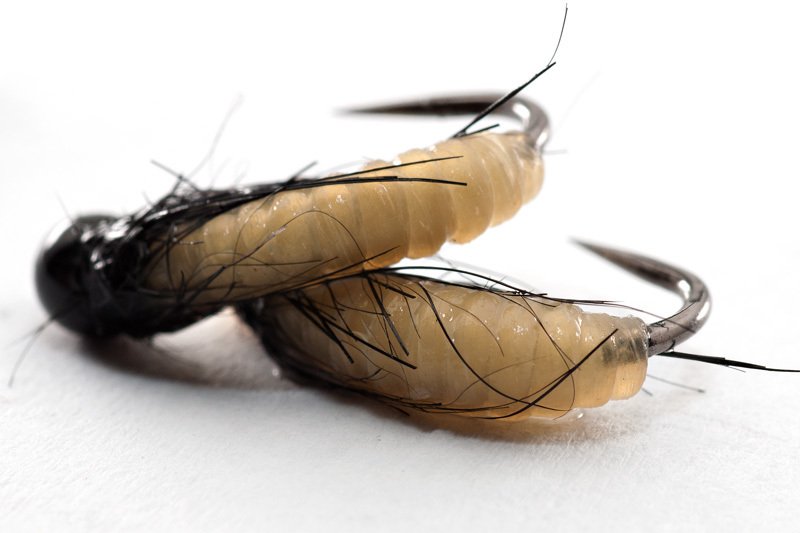 It is simple: because they don’t snag on the bottom very easy and because these flies tied on jig hooks swim with the point up. 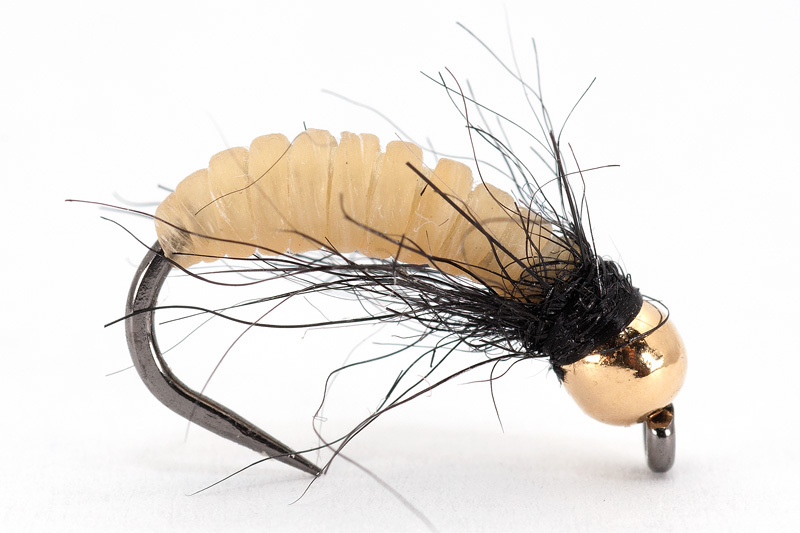 Models are not complicated at all but in the rivers with high fishing pressure you have to be creative. 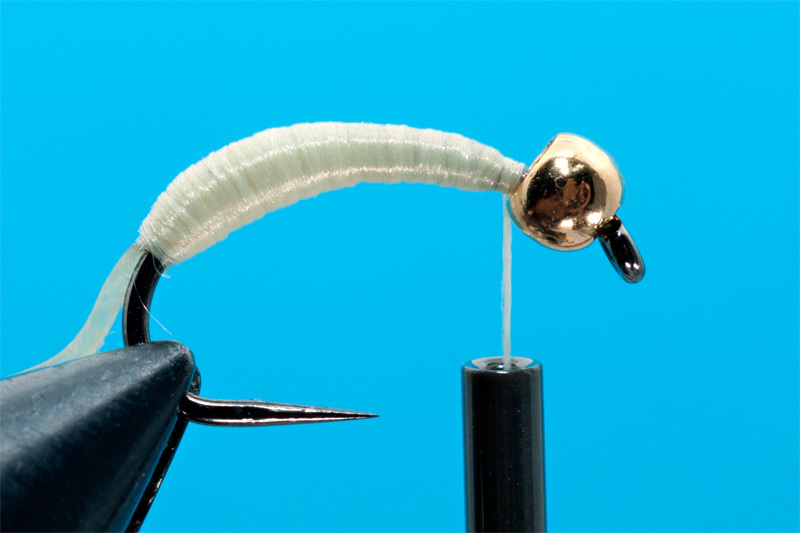 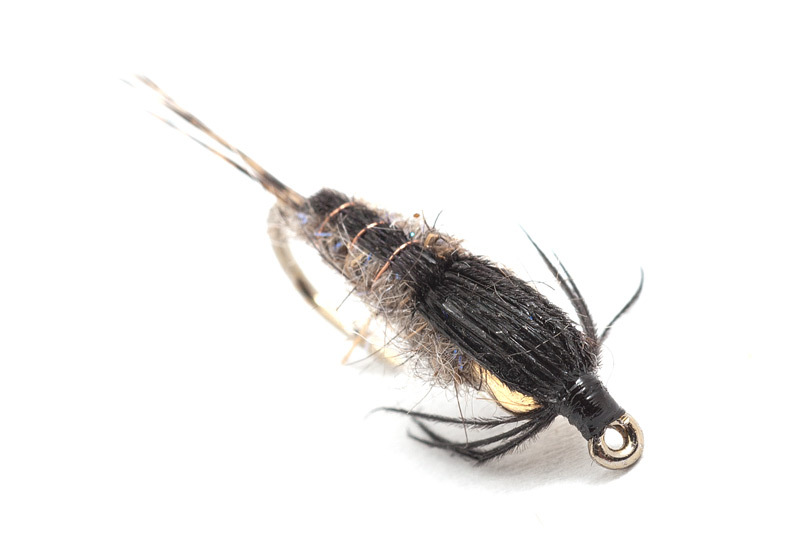 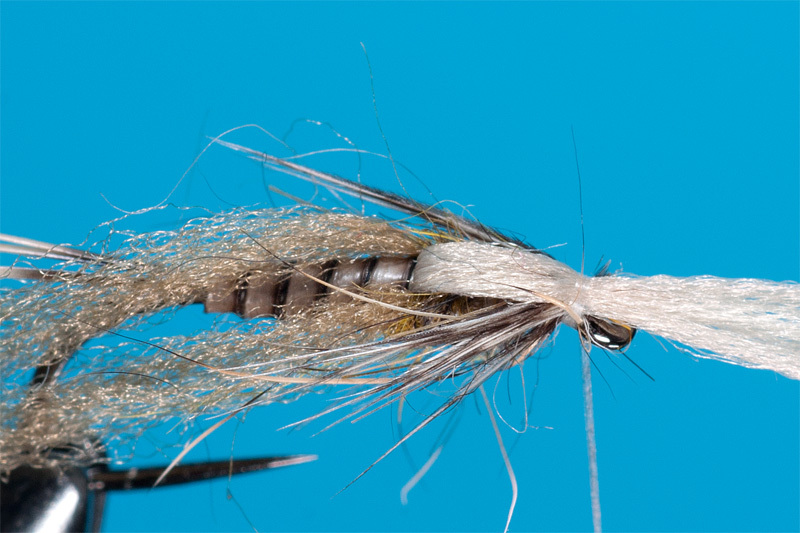 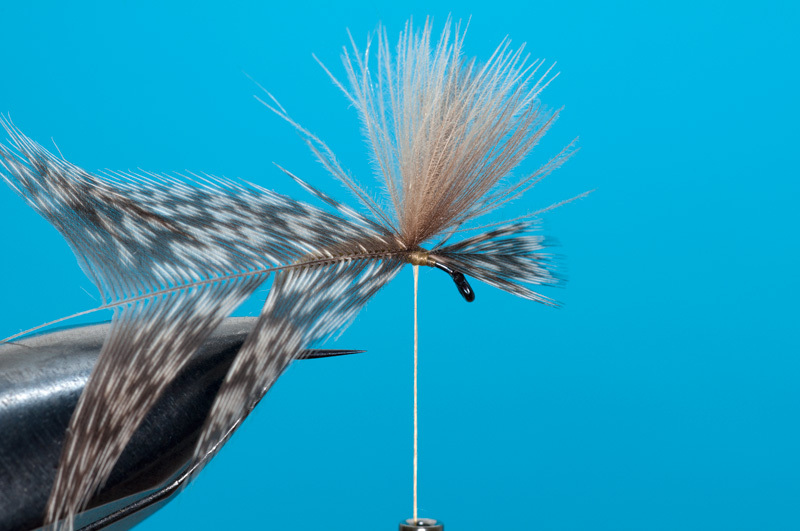 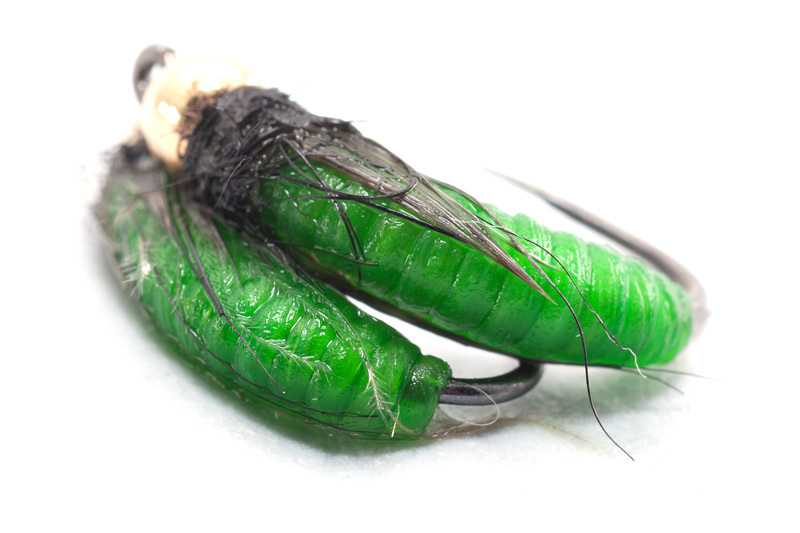 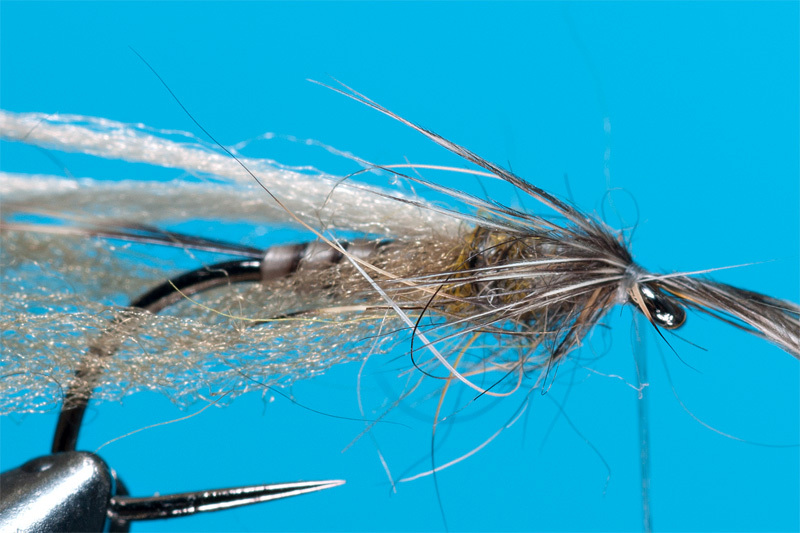 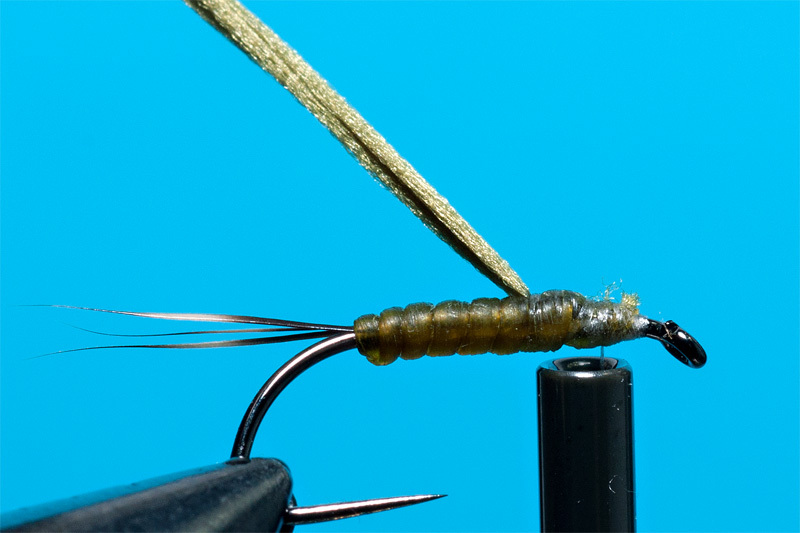 A GRHE fly can be modified a little bit using UV ribbing materials or holo tinsel. 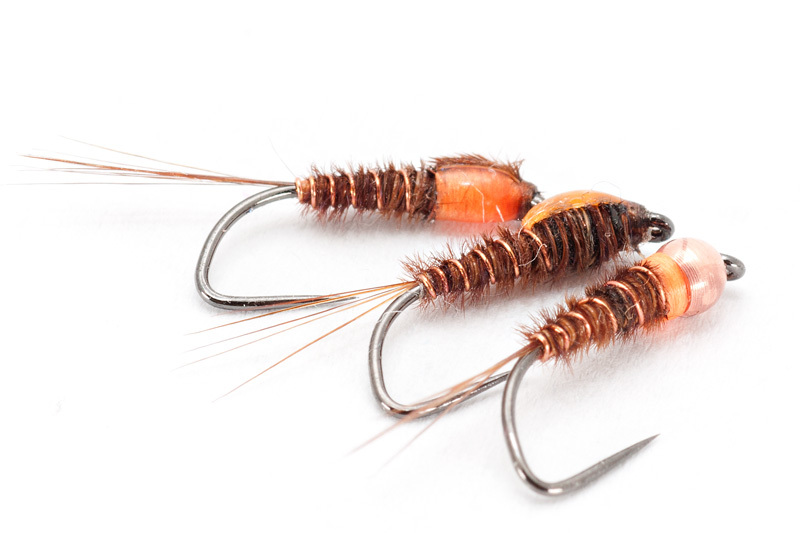 This one is made with Pure CDC Dubbing from Trout Line because CDC have more movement in waters than standard dubbing. 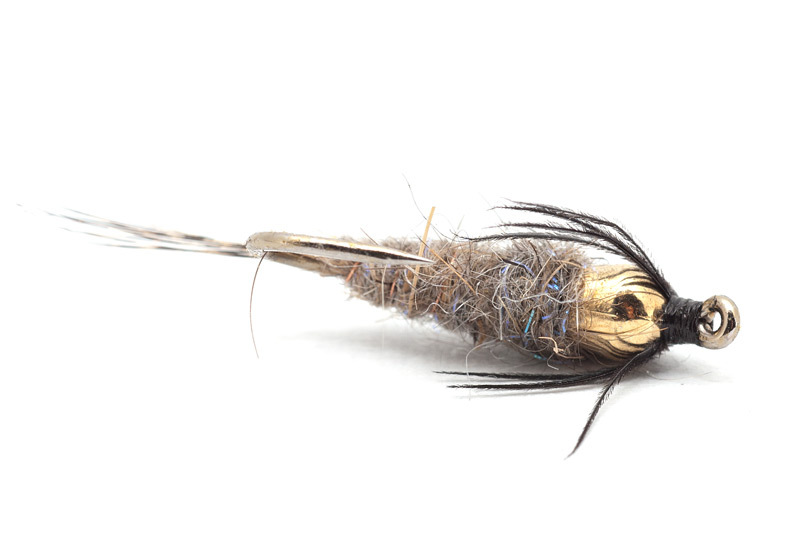 I use this fly in deep poles with slow running waters. 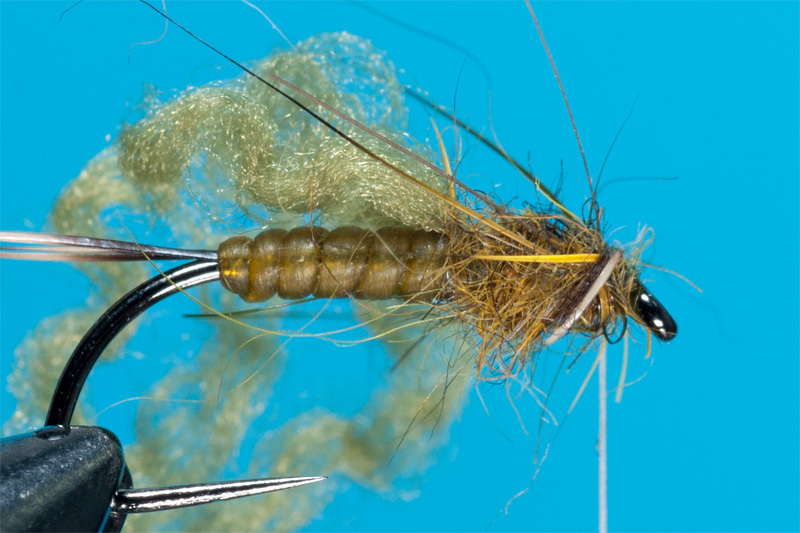 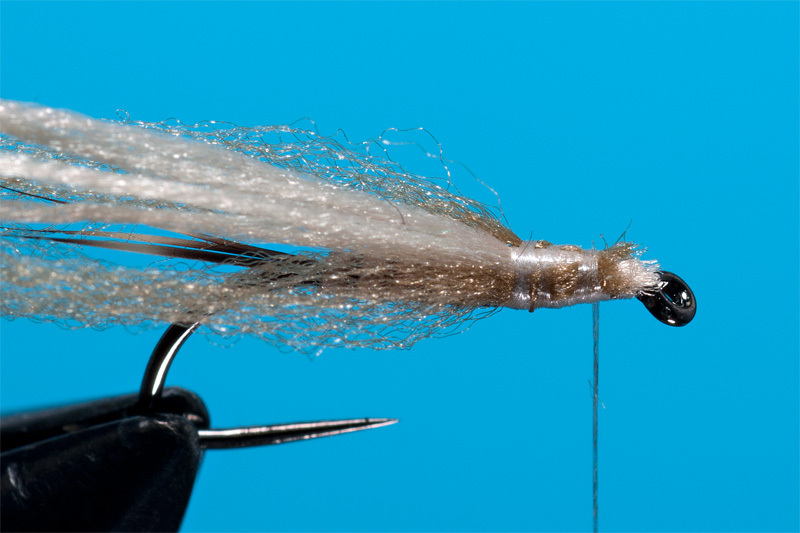 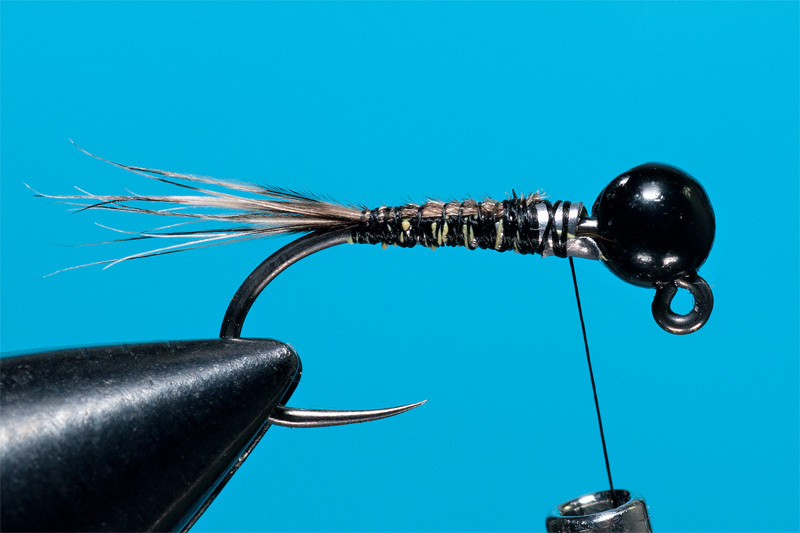 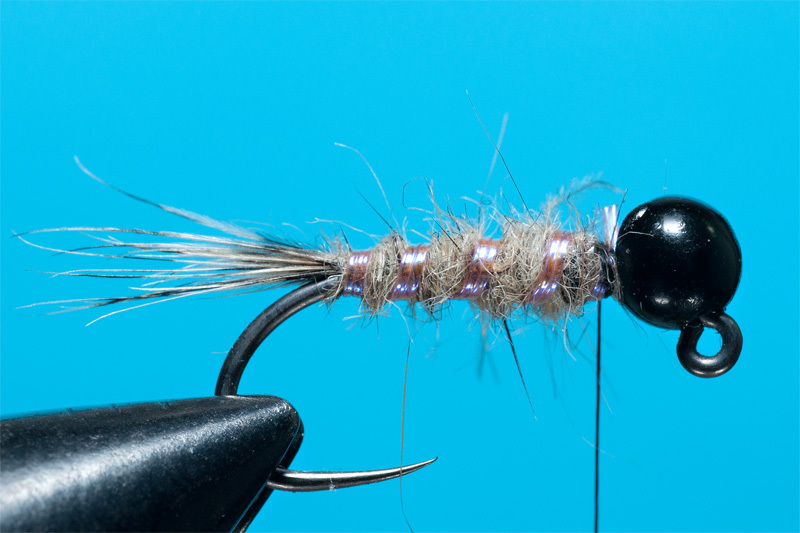 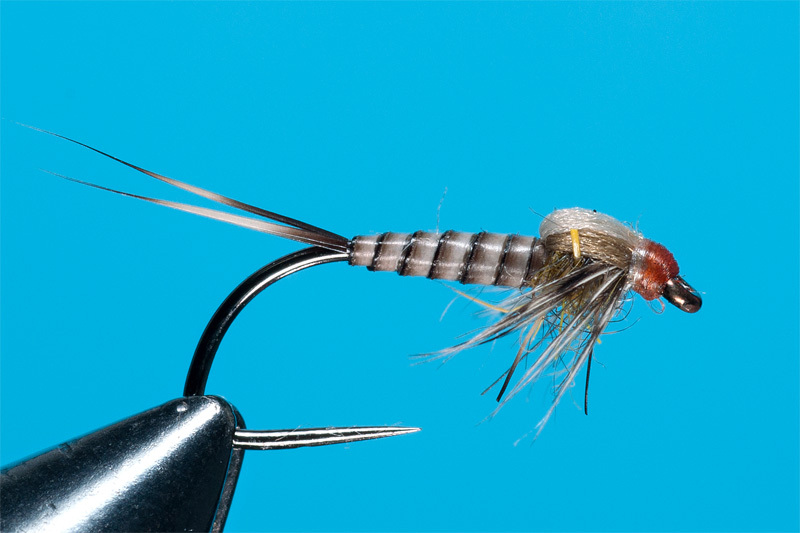 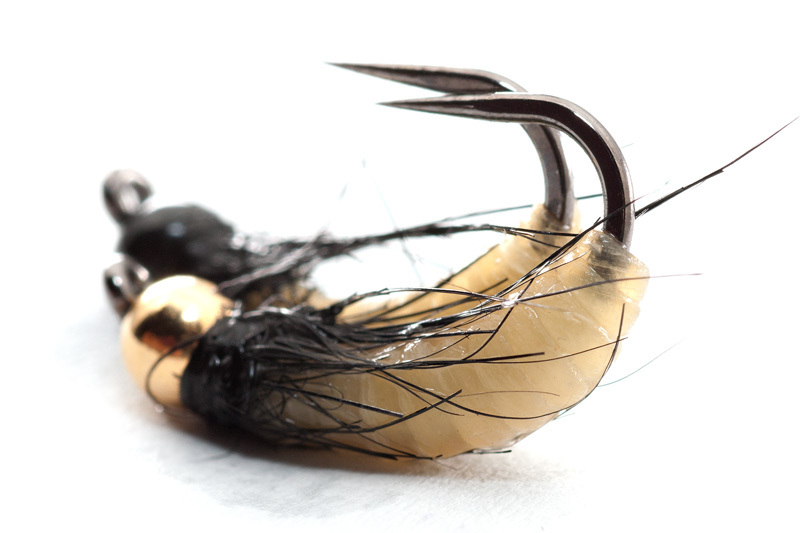 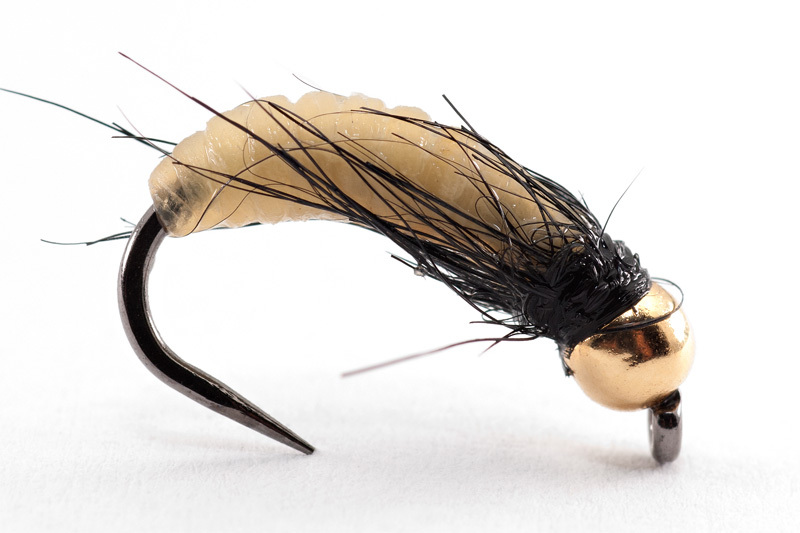 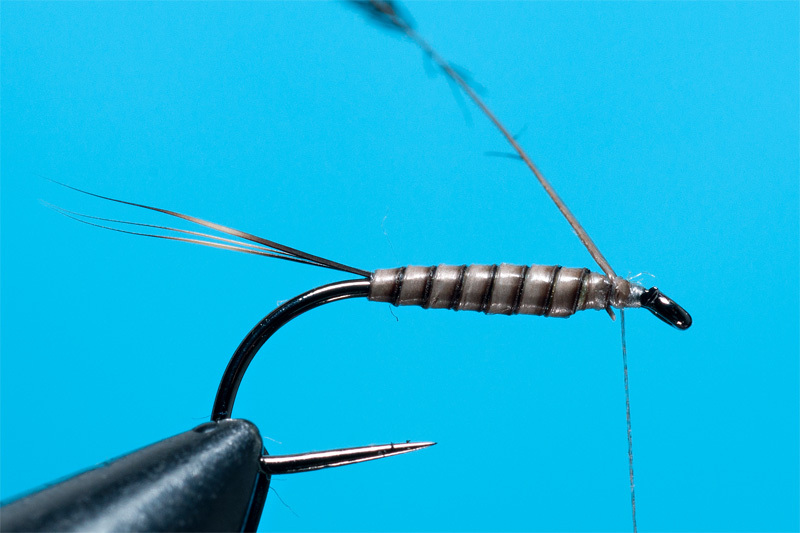 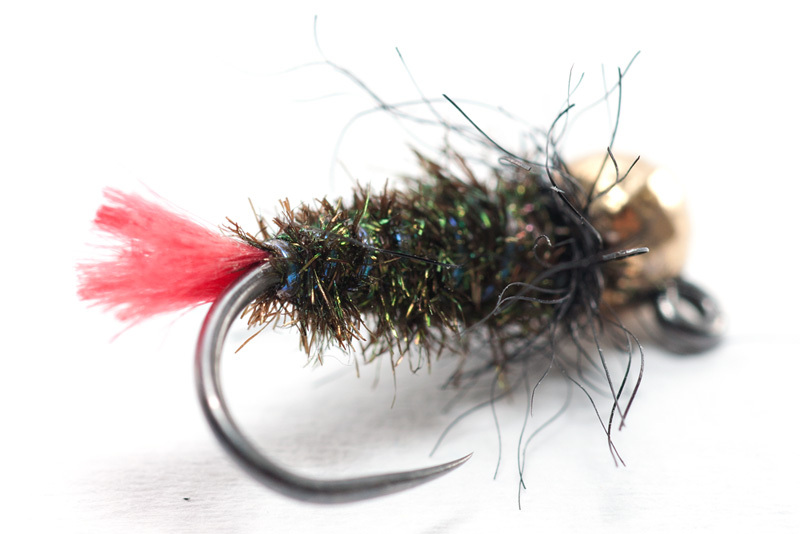 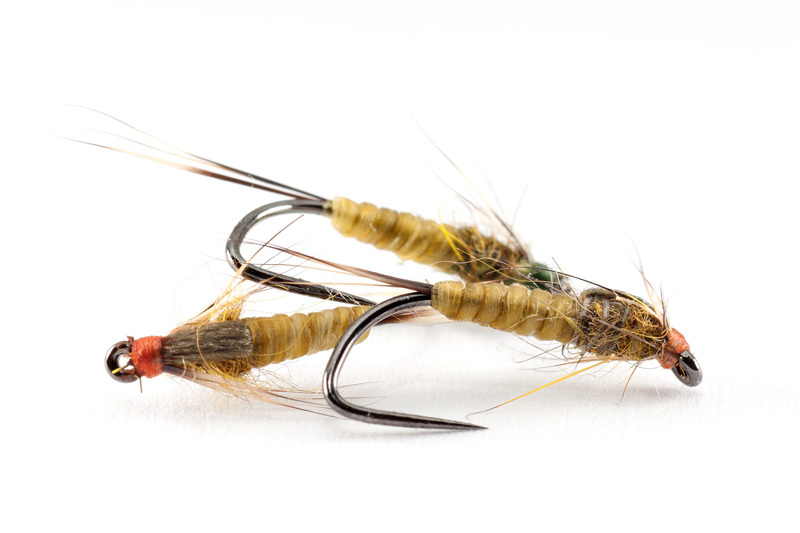 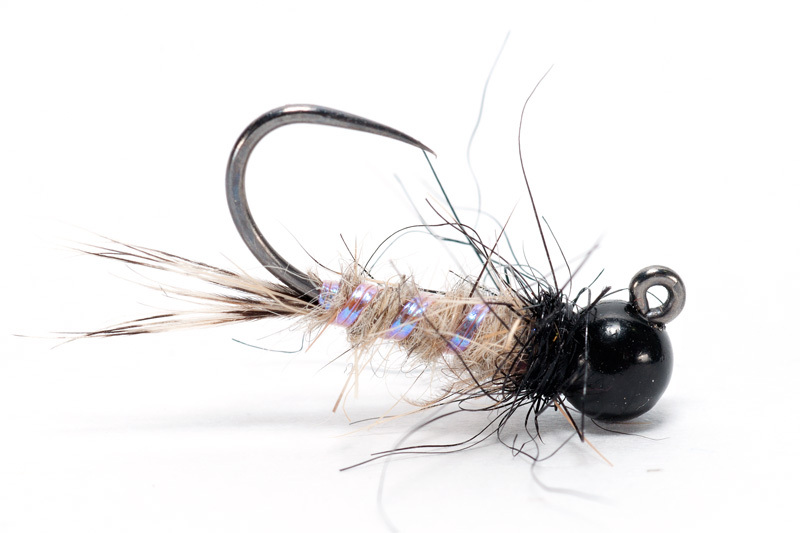 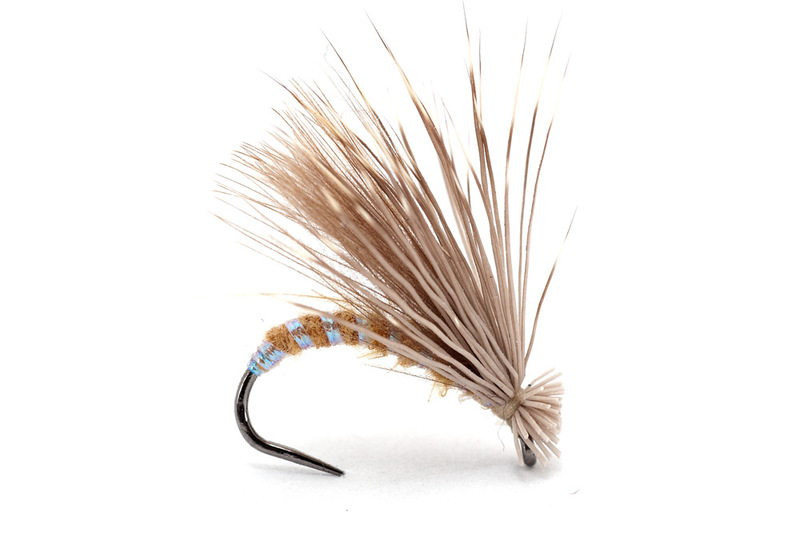 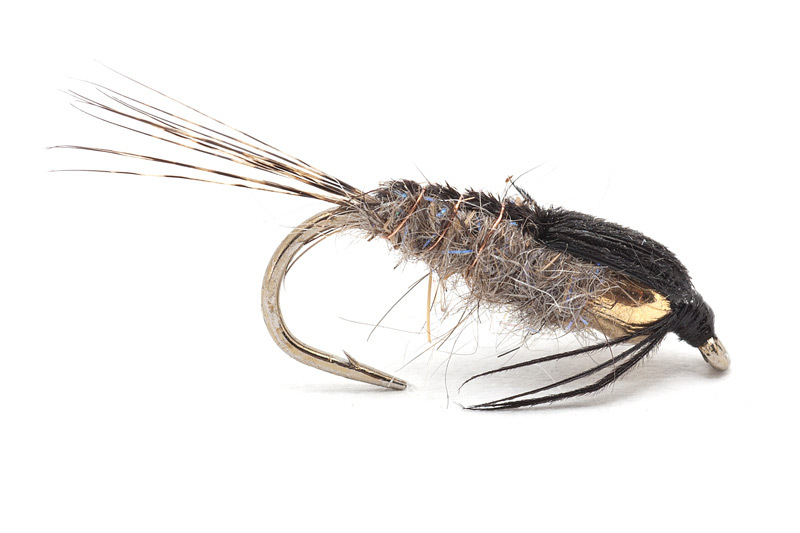 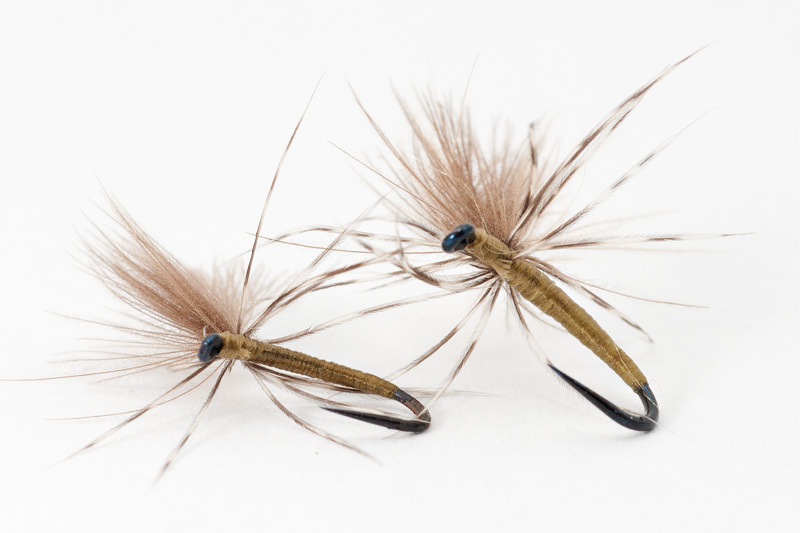 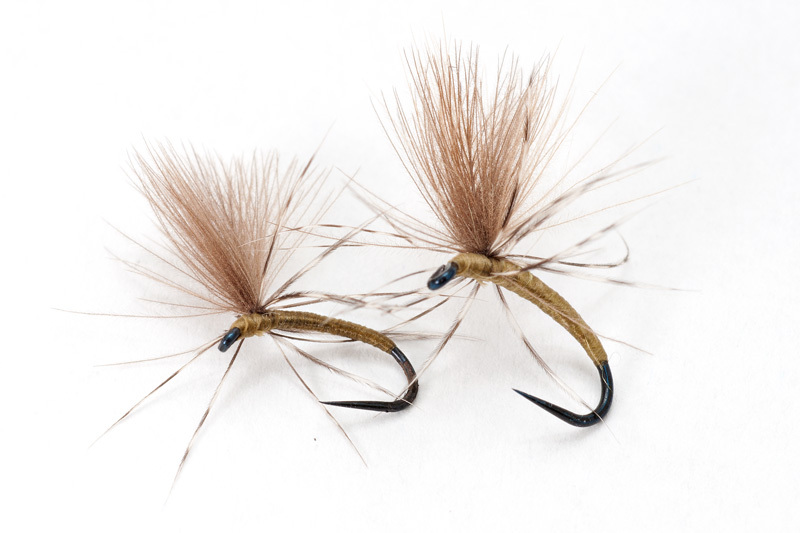 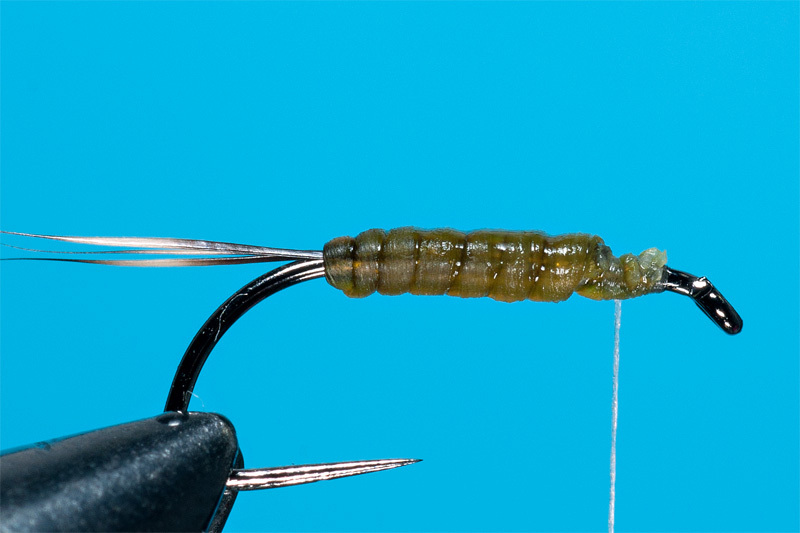 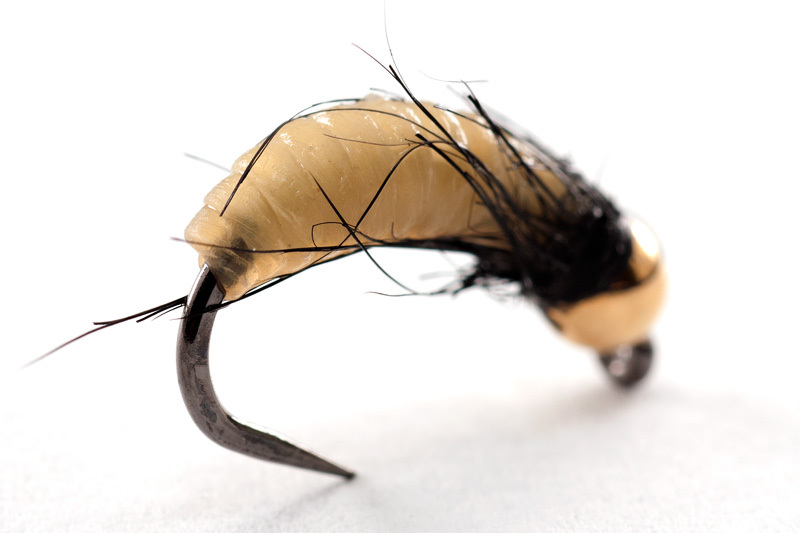 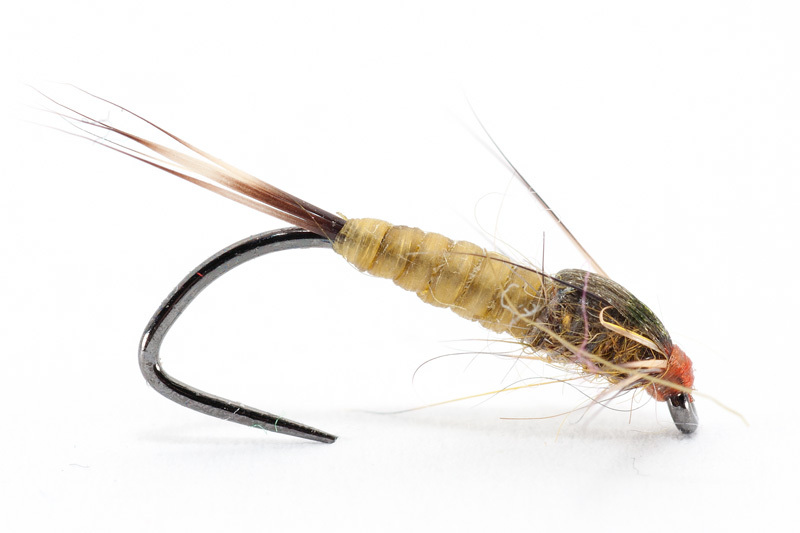 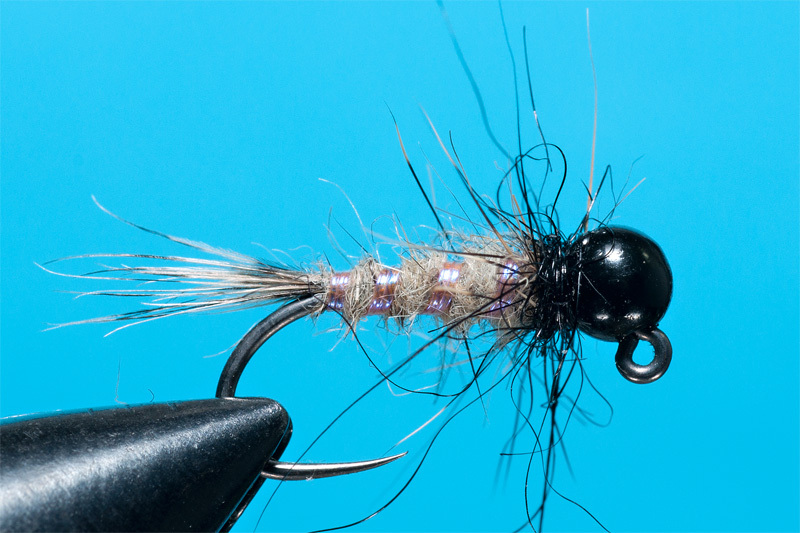 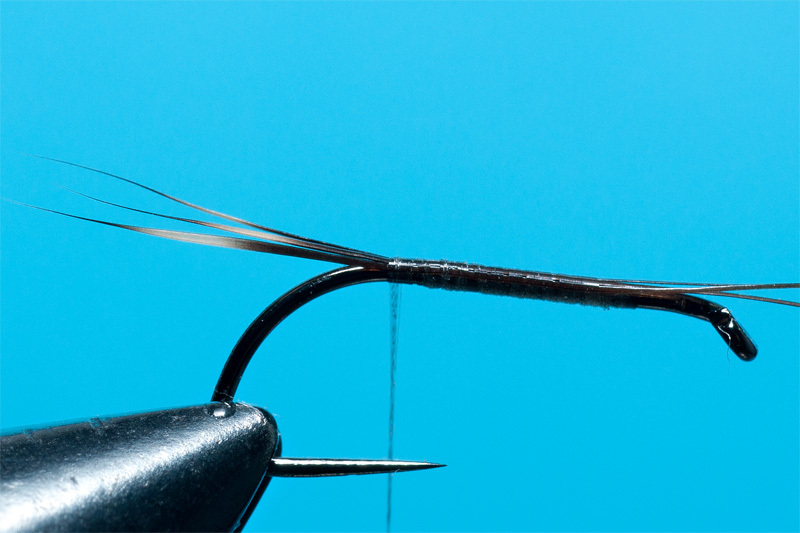 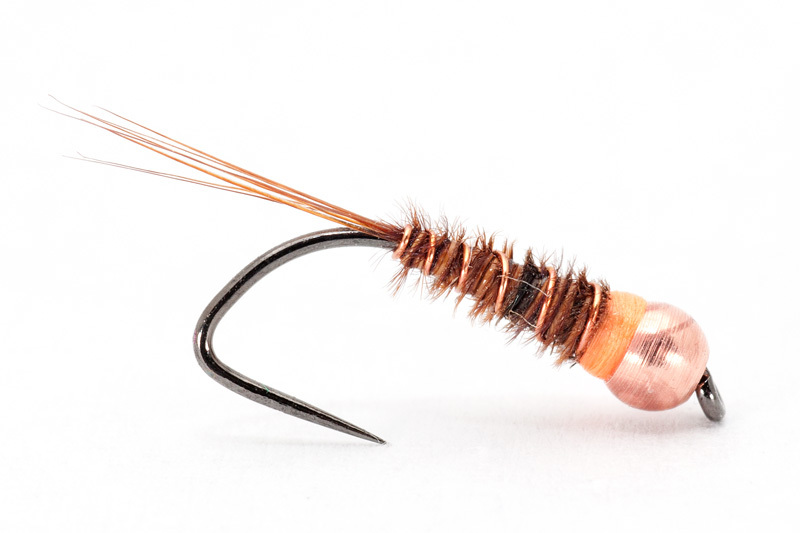 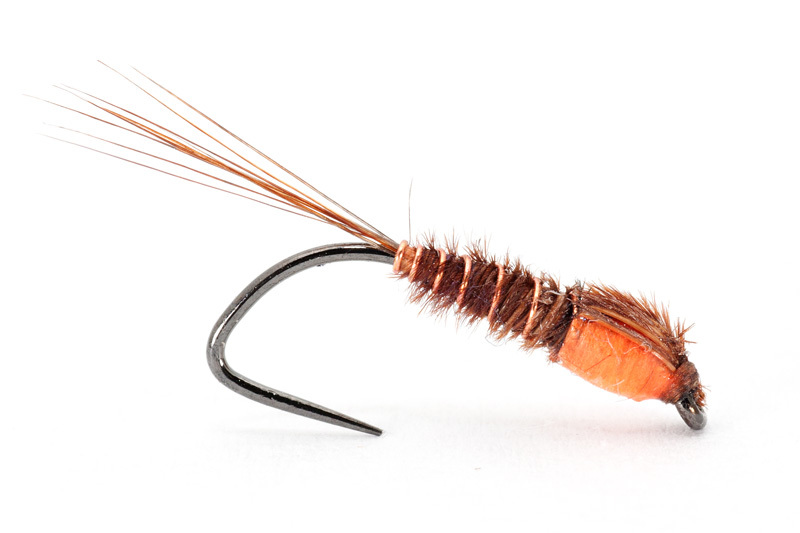 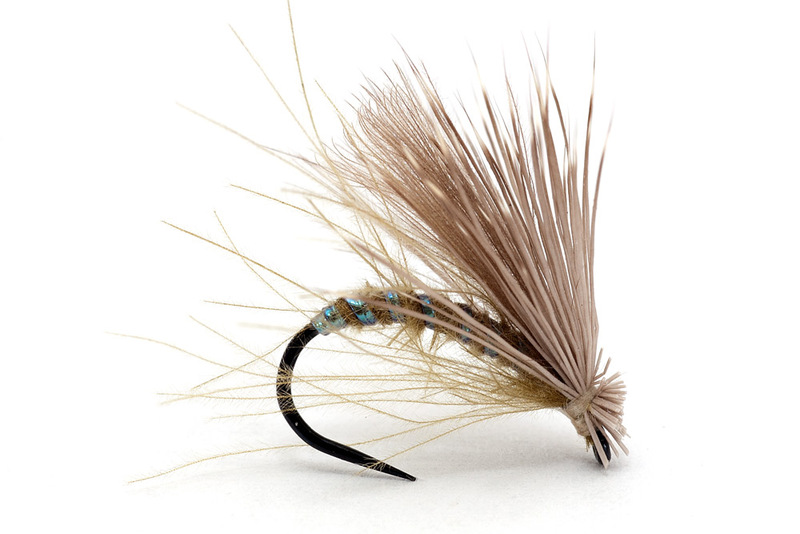 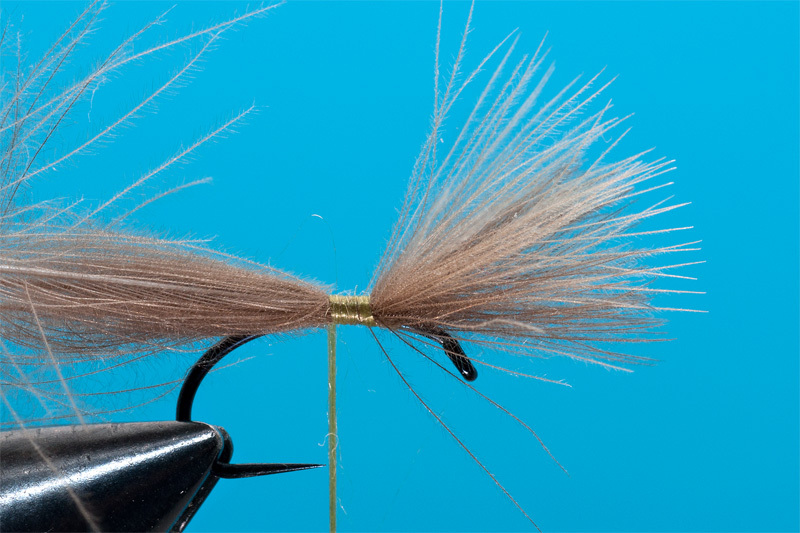 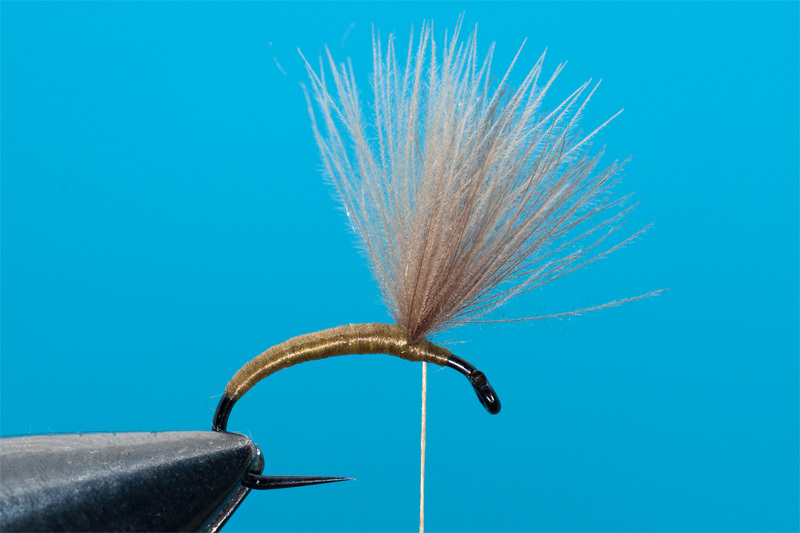 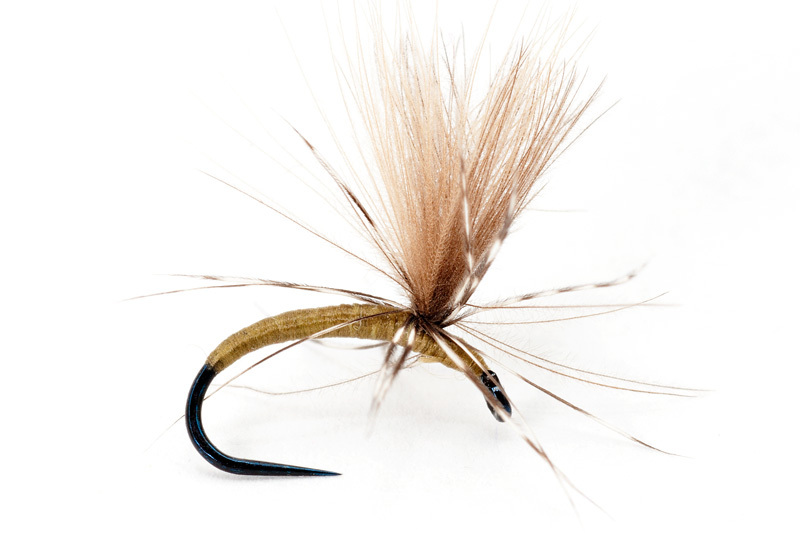 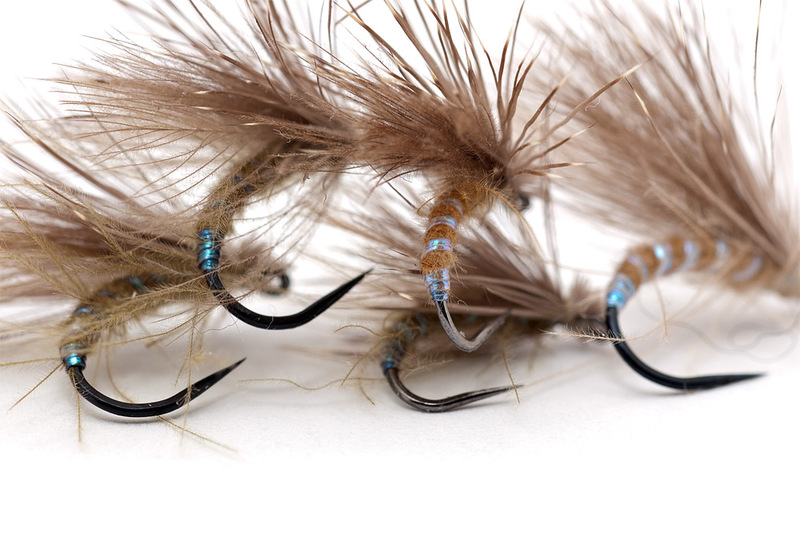 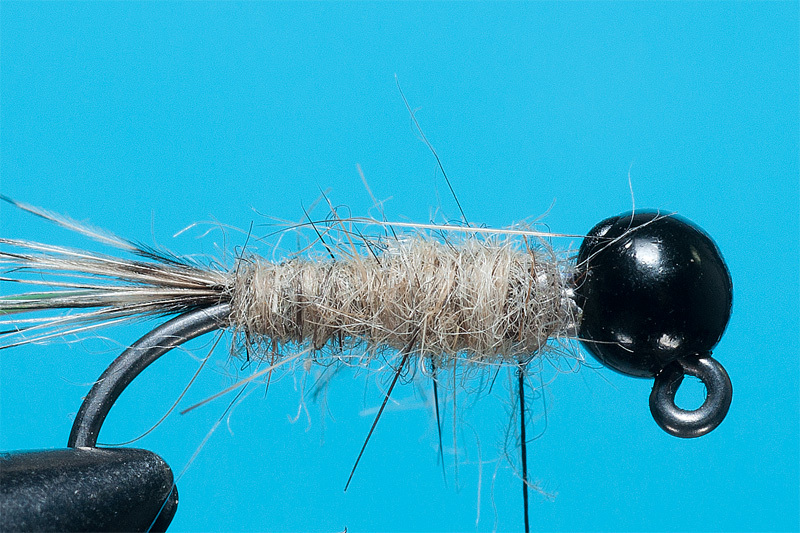 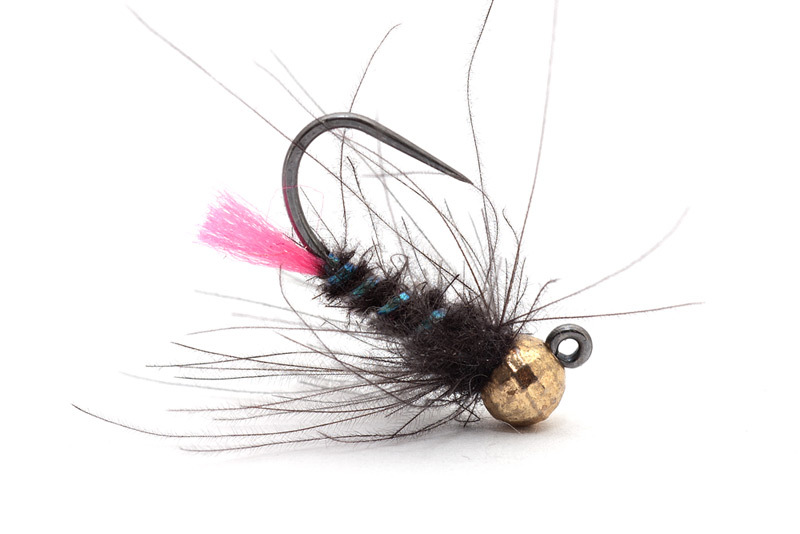 Another series of jig flies can be found here. 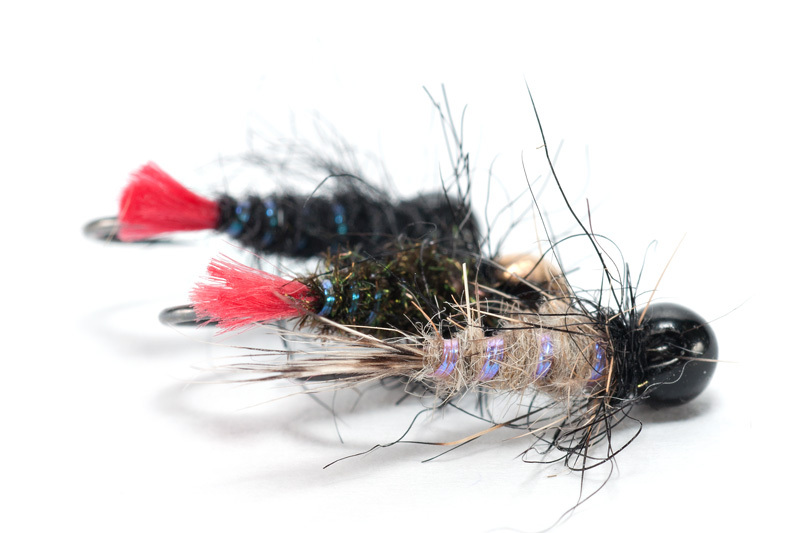 I love to tie using catgut because the colors, texture, the final aspect of the flies are unique. 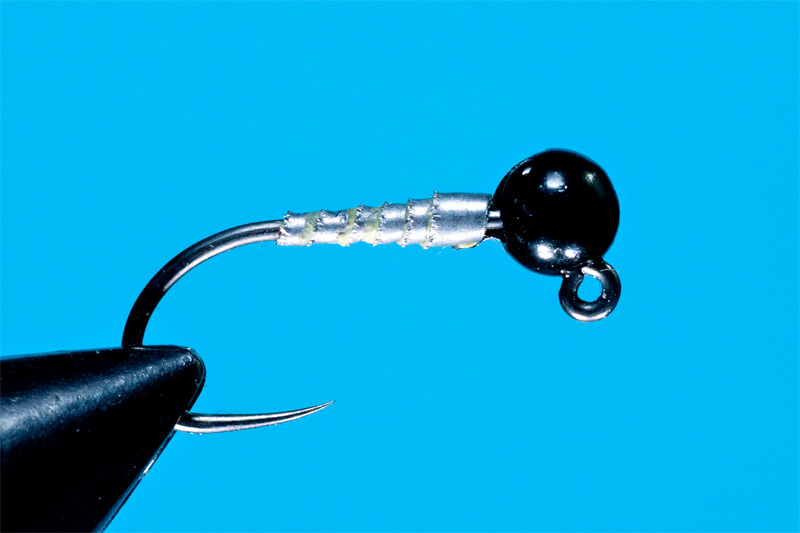 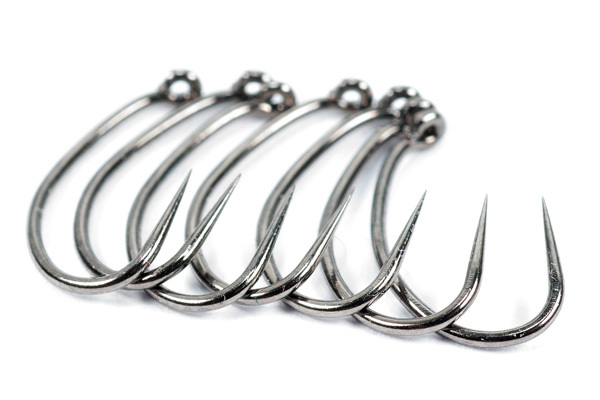 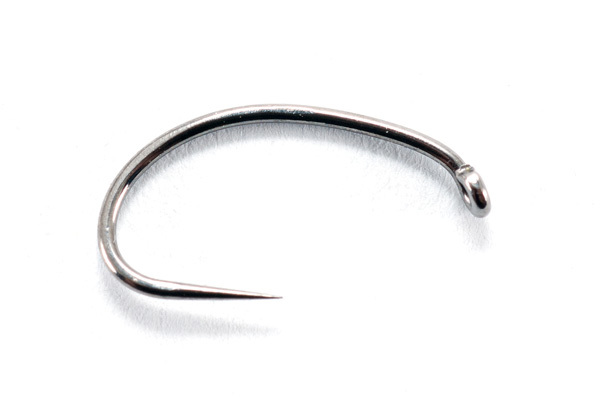 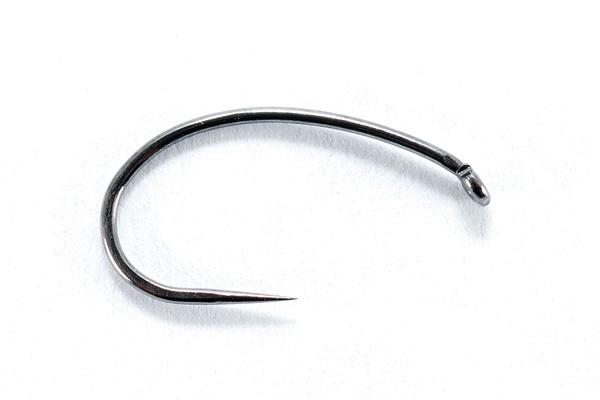 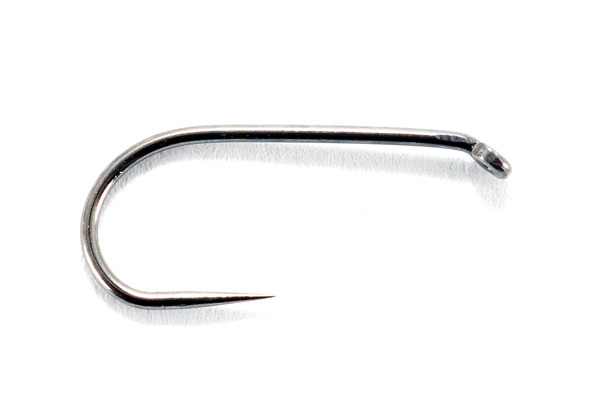 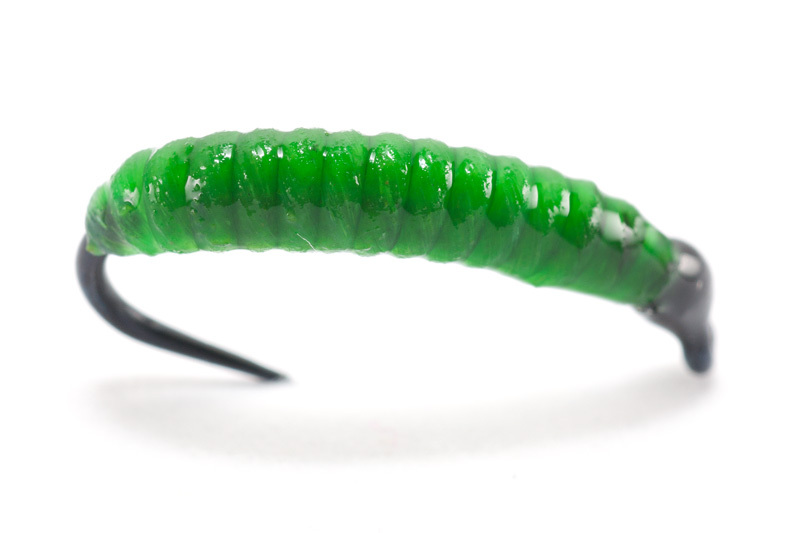 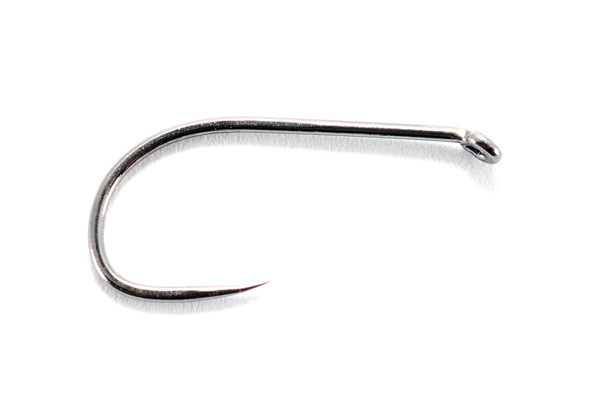 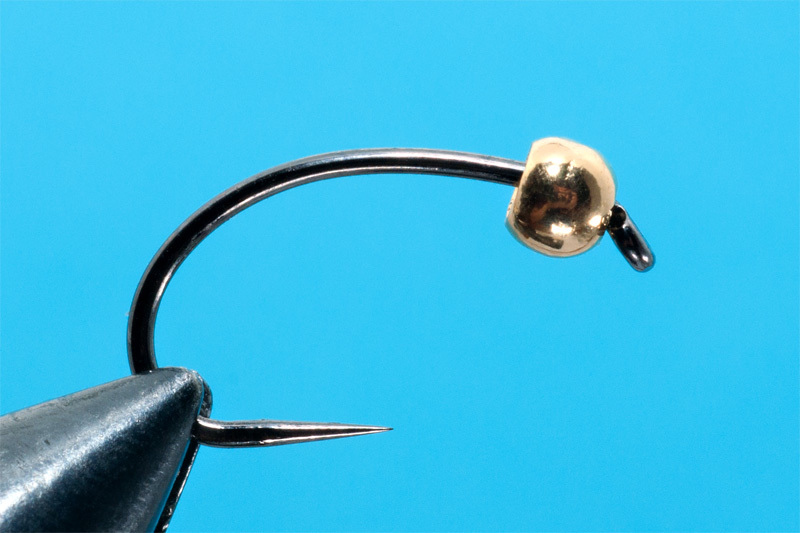 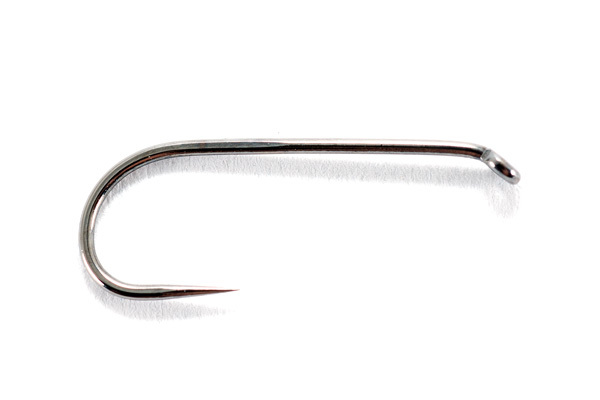 Demmon Barbless Hooks are made in Japan and it seems to be a great success on the market. 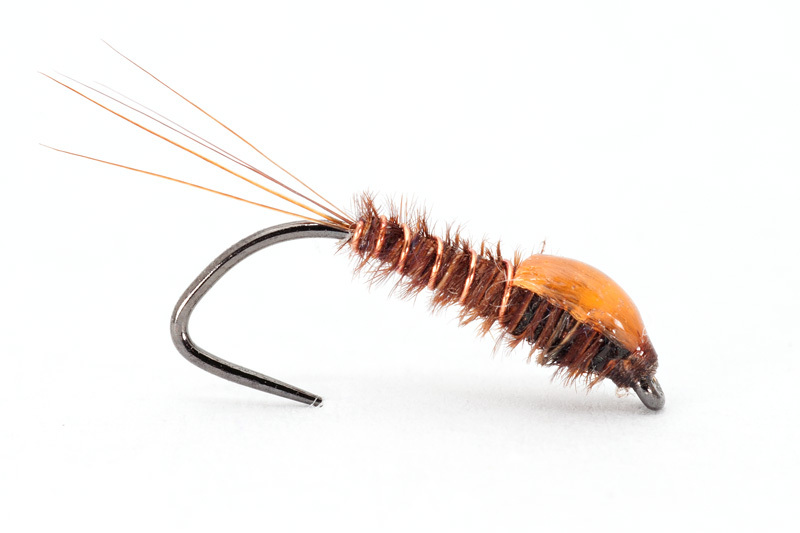 This model is for light buzzers, light nymphs, emergers and para flies. 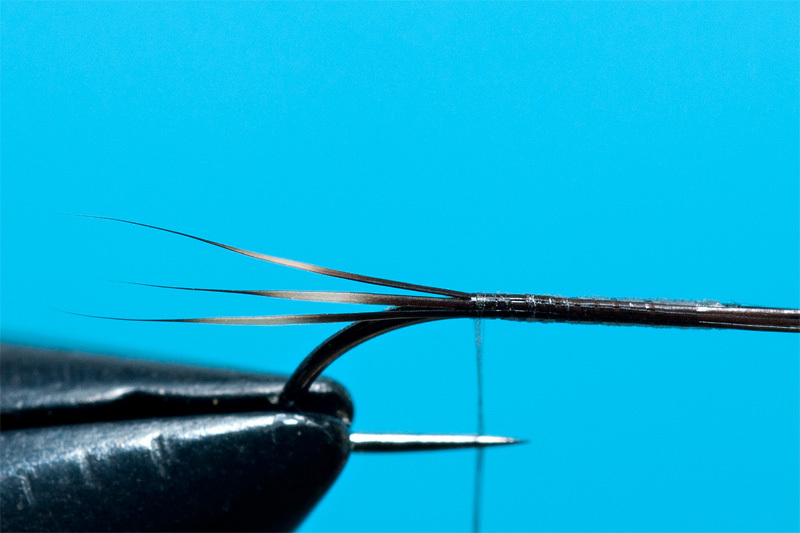 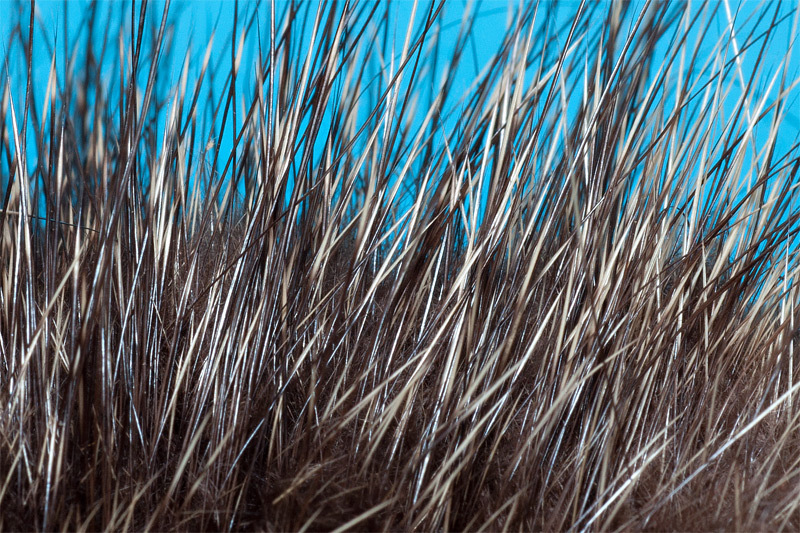 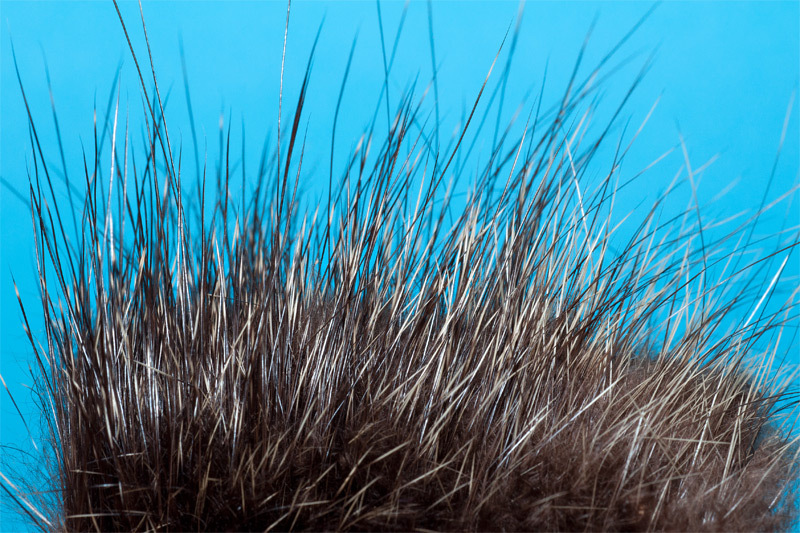 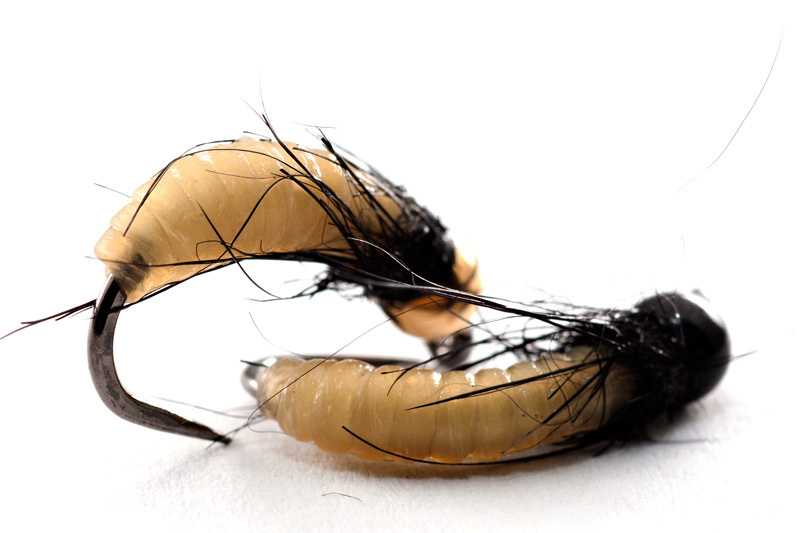 This model is used for dry flies, wet flies and emergers. 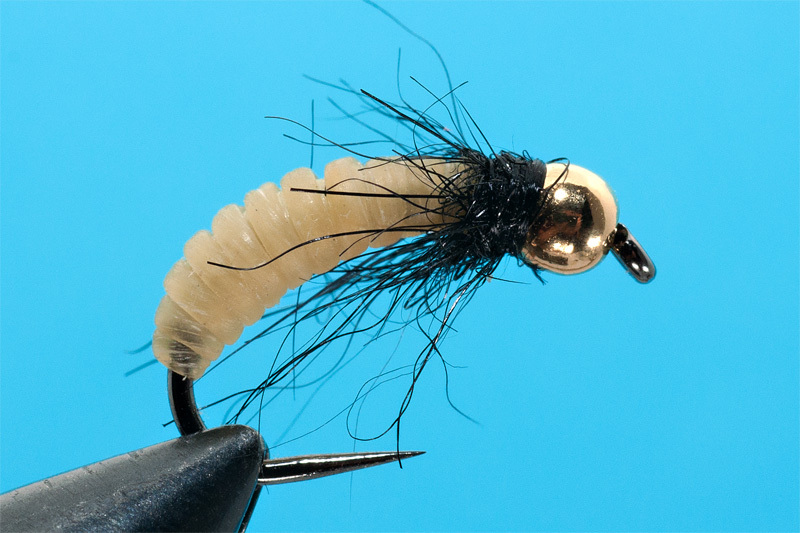 Can be used as well for light nymphs. 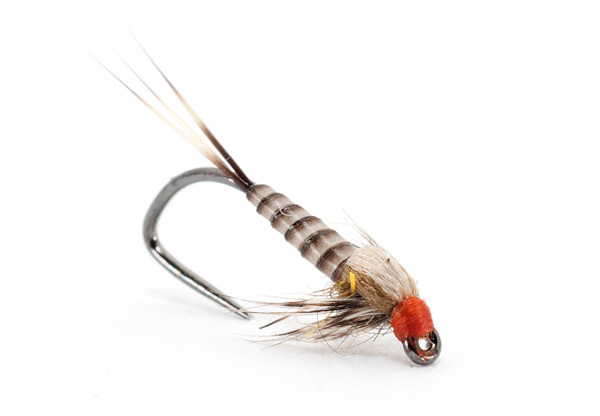 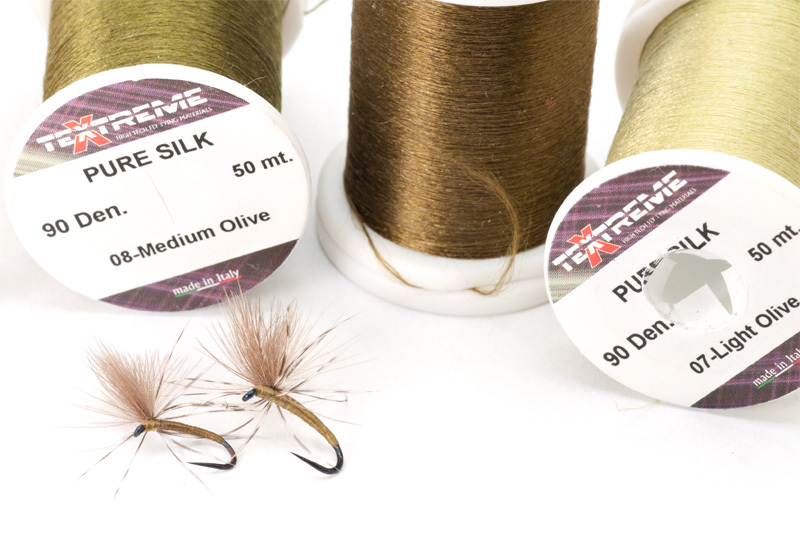 DSD 120 BL can be used for terrestrials, stone flies and nymphs. 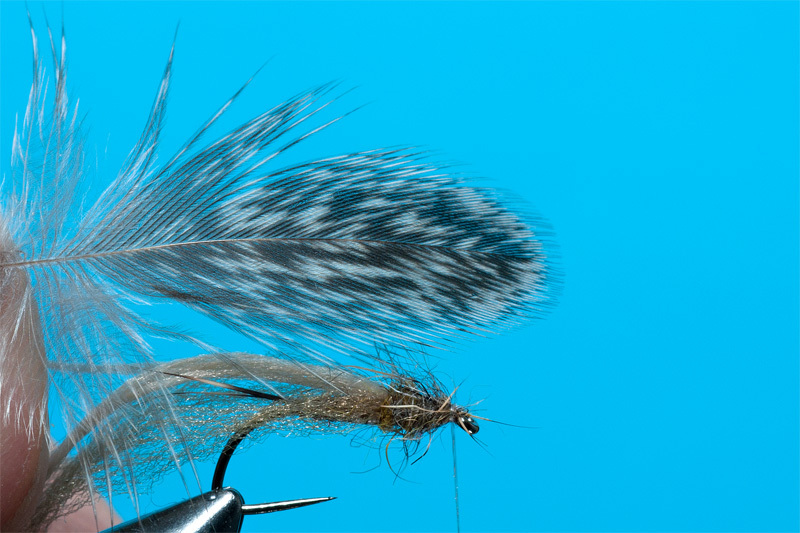 I know this fantastic fly from an Italian friend. 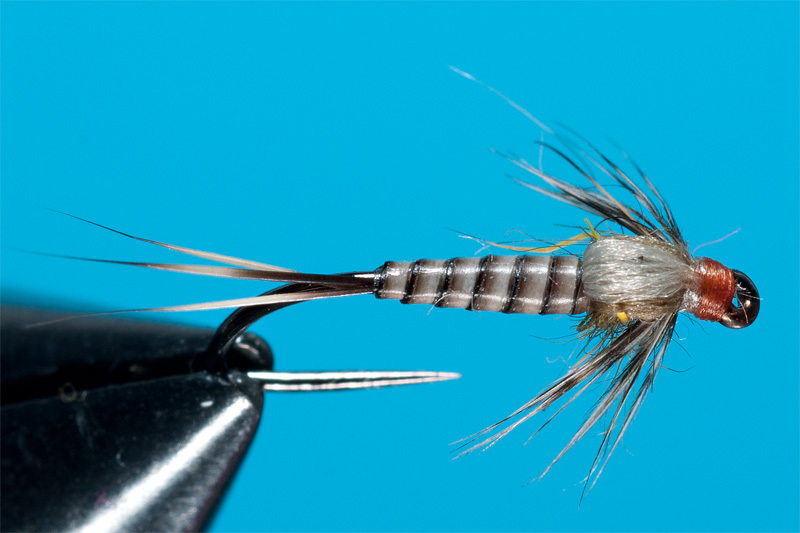 I use this fly for Winter grayling fishing. 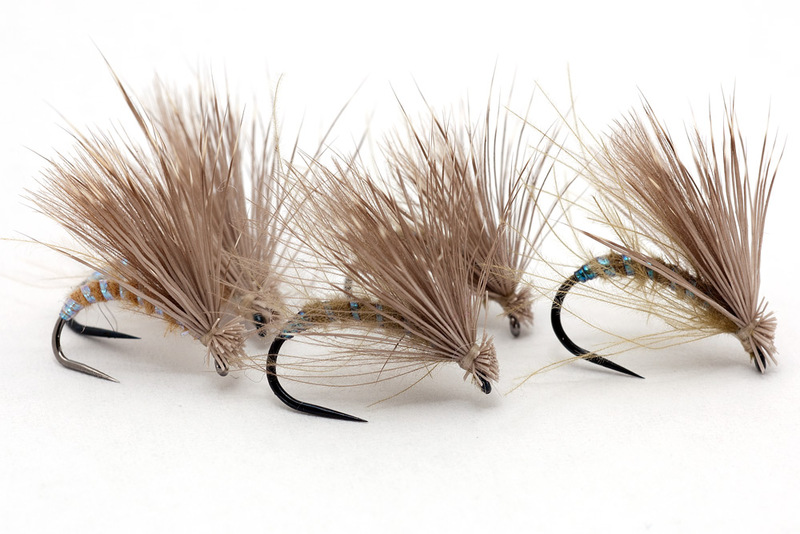 It is one of the best dry fly that I use in this period. 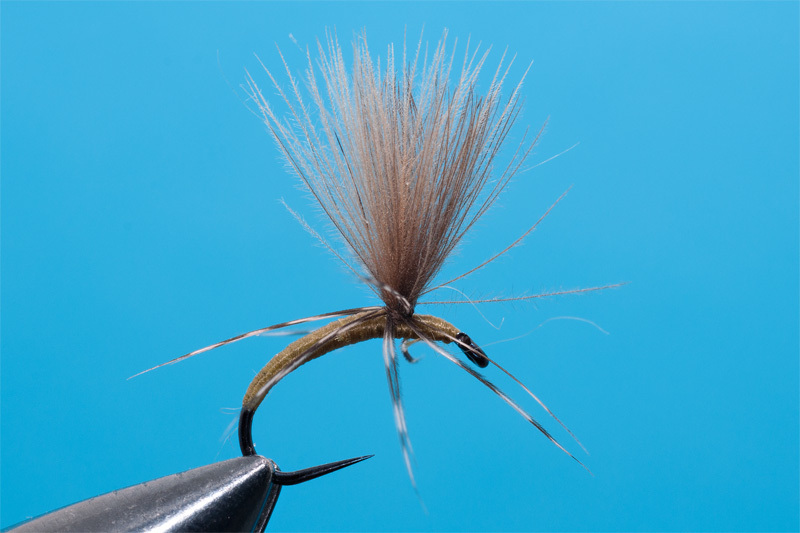 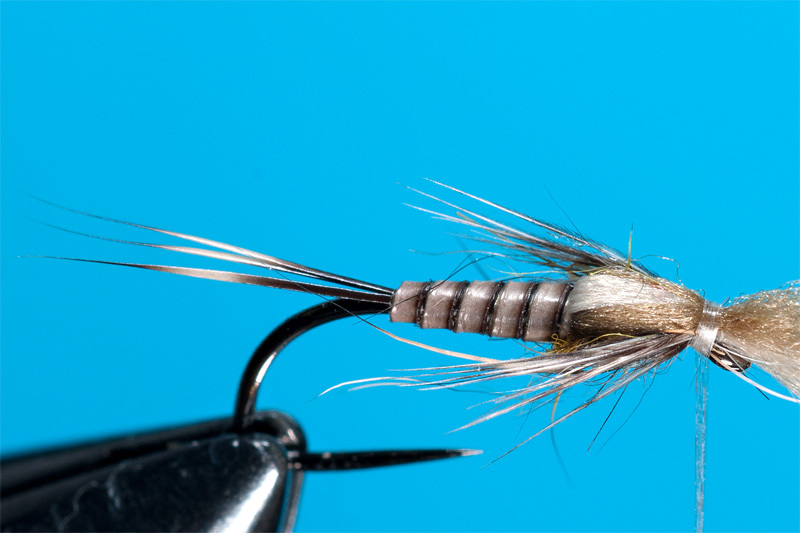 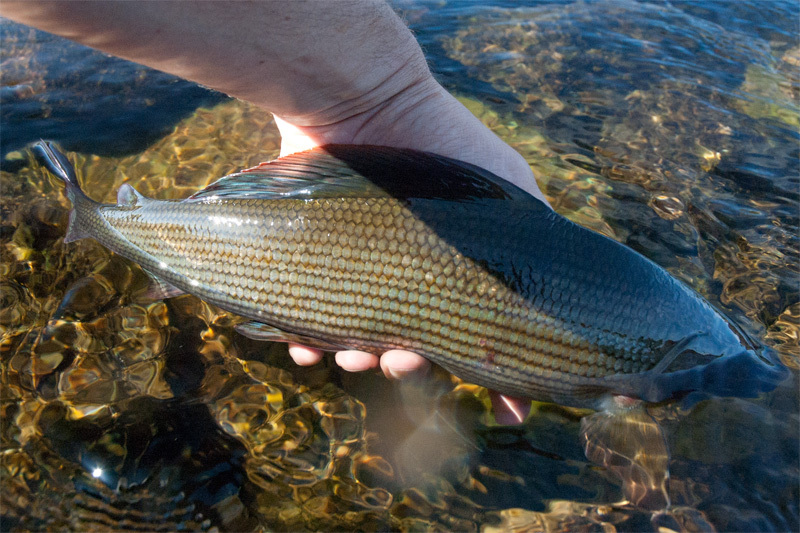 This fly is one of the best nymph for fishing grayling using french style of nymphing. 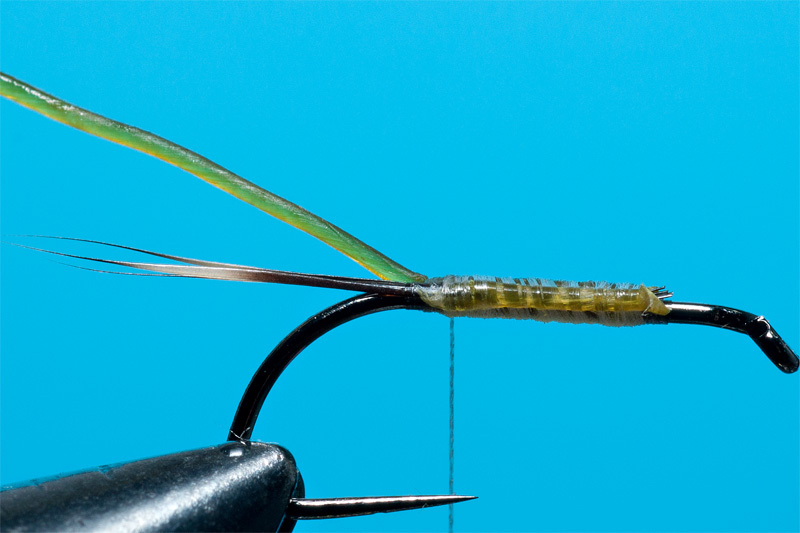 For fishing trout I recommend to apply a layer of UV Resin from Deer Creek. 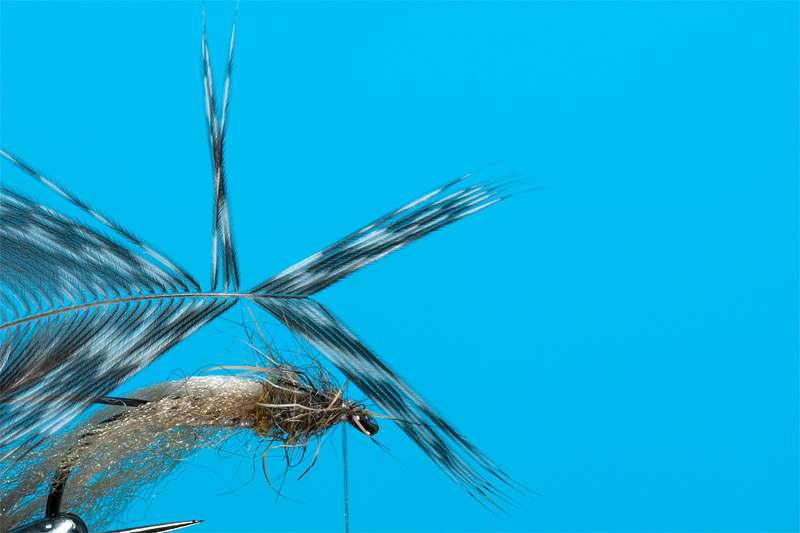 In this way the body will be indestructible.